Does my child have a language delay? 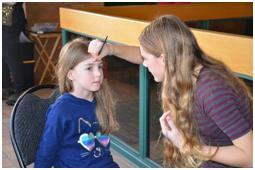 Brant Mental Health Solutions provides counselling services for children, individuals and couples. Our Therapists are certified professionals who are here to walk with you through life’s challenges. We also provide workshops and seminars to the community for those who support people with mental health issues. There is no referral necessary to access our private clinic. We are available to help people from any community or city. Your child can explore their emotions through play or art in a safe environment. Teens and adolescents who are facing mental health issues can find support in a non-judgmental environment. Our counsellors can help you explore emotions and mental health concerns in a safe, non-judgemental environment. We offer support for couples and families struggling with relationship issues or mental health problems. Speech therapy help’s those with communication problems. Those who are delayed or have a disorder related to speech can benefit from focused speech therapy. Our workshops and seminars provide you with knowledge and support regarding mental health issues. Thanks for coming to our Grand Opening. On Saturday January 26th, Brant Mental Health Solutions, officially opened in Paris. Located at 139 Grand River Street North, this new mental health clinic offers, counselling, play therapy, sand therapy, art therapy, speech therapy and psychology services. Dr. Spenser and Amy Dougley are the founders of Brant Mental Health Solutions and Brant Wellness and Rehab and felt that mental health services were much needed in Brant County. After one of their children was diagnosed with a mental health disorder, they realized there was nowhere equipped to deal with childhood mental health in the area, and that the wait lists for help were far too long. They also felt that there wasn’t adequate support for the families and loved ones who are caring for those struggling with mental health disorders. 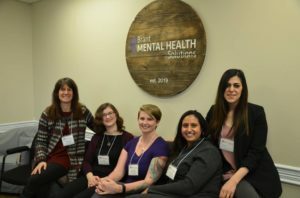 Brant Mental Health Solutions is set up to care for people of all ages and will be a resource to the community through workshops and seminars. The Grand Opening Celebration was attended by many people from the Brantford and Brant County Communities and the official ribbon cutting ceremony took place with both the Mayor of Brant County (David Bailey) and the Mayor of Brantford (Kevin Davis), as well as MPP Will Bouma and Ward Counsellor Marc Laferriere. Dr. Spenser and Amy Dougley feel thankful to be a part of the Brant County Community and are hoping to prevent other families from facing the challenges of mental health alone. Dr. Spenser Dougley, Ward Counsellor Marc Laferriere (with Finn), Amy Dougley, MPP Will Bouma, Mayor David Bailey, Mayor Kevin Davis, Margaret McRobert. The team of mental health care practitioners at Brant Mental Health Solutions. 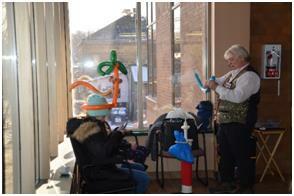 Family activities at the Grand Opening Celebration! Come celebrate the Grand Opening of our new clinic! Take a tour, meet the practitioners, enjoy family activities and win prizes! We are now open Monday – Friday. Call us at 519-302-2300. Chronic pain is a challenge that more and more people are facing every day. From headaches and migraines to back and joint pain, experiences of chronic pain can seriously disrupt your quality of life. Adding psychotherapy treatment to the more traditional approaches to pain may provide you with a powerful tool for addressing chronic pain. The more technology advances, the more we are able to study the brain, and we are starting to understand how the brain functions in relation to pain. The latest research shows that pain originates in the brain. But, it’s not a mater of pain being “all in your head”. All pain is real, and each experience of pain is personal and unique. The brain is simply responding to danger signals that it is picking up from all around you. The mind has an incredible capacity to protect us from what it considers to be dangerous situations or emotional reactions that may generate a fear response. In certain situations, the brain may generate pain as a distraction to keep us safe from experiences that the mind determines to be too painful to bear. Consider a child who has a fallen in the playground. There is moment where the child is not sure whether to cry or not, and their reaction is dependant upon on the reaction of caregivers around them. If there appears to be no danger, then there is no need for a pain response. What can I do to help my mind release pain? Strong emotions such as anger, grief and guilt may be one of the causes of ongoing, chronic pain. Learning to identify and experience strong emotions without suppressing them, may result in a reduction of pain. A simple practice is to try paying extra attention to what is happening in your life. Consider what your worries and stressors are, and reflect on how you feel about them. If the feelings are overwhelming or you feel stuck, then seek the help of a qualified psychotherapist who can assist you in this process. Our office is currently under construction and set to open January 7, 2019. We will be offering Counselling, Speech Therapy and Psychology services. Keep checking our website and Facebook page for more details as we approach our opening date! We Serve Paris, Brant County , Brantford and surrounding areas.